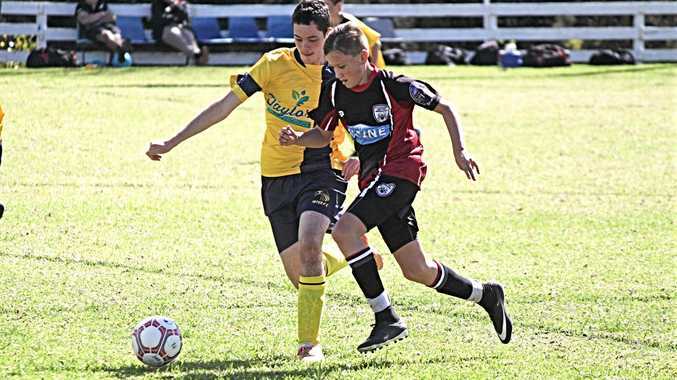 AS THE days dwindle to Stanthorpe's Johnny Cash Country Music Festival, stories of Cash's time in Stanthorpe continue to be unearthed. Probably the most famous of all those stories is that of Johnny's concert fundraiser back in 1991. 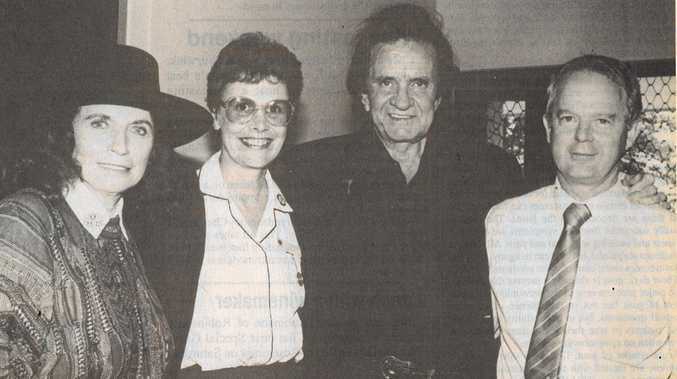 On Wednesday, May 29, 1991 there was a sold-out concert by the Cash family - Johnny, wife June Carter-Cash and son John Carter-Cash played the Stanthorpe Civic Centre and raised about $10,000 for the Stanthorpe Blue Nurses. Originally in the country on tour with The Highwaymen (Willie Nelson, Waylon Jennings and Kris Kristofferson), Cash took time out to visit Stanthorpe and play to the crowd of 585 people at the Civic Centre. Tasked with pulling the concert together was Stanthorpe Blue Nurses administrator Peter Lee. Understandably he has very fond memories of the iconic show. "John's heart specialist in the USA, Dr Con Potanin, was married to Ann, the daughter of Clem and Lulu Fletcher," Peter said. The Fletchers retired to 'Ninatop', a grazing property at Liston. During visits, Johnny and June fell in love with the district and nearly purchased their own property. For a number of years, the nursing sisters provided medical care to Clem and Lulu. It was owing to this that Johnny and June felt indebted to the service. "Over breakfast one morning John, in his American drawl, said 'I'd like to do somethin' for the Blue Nurses'. In other words stage a concert as a fundraiser," Peter said. With two weeks' notice, Peter managed to get it all organised to have Johnny play a sit down lunch where patrons could have a meal and enjoy the show. "A once in a lifetime opportunity," Peter said. "I don't think people could believe we could get a superstar like that to put on a concert, he (Johnny) initiated it and we took it from there." The residents and clients of Blue Nursing Service who could not attend the show weren't to miss out either. "John and June paid a visit to the Ardmore Centre and entertained them all with an impromptu concert." Some years later the couple paid yet another visit to Stanthorpe and made sure they stopped by the centre one final time.